Did you catch our recent article on Buckrail? 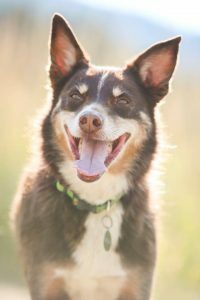 October is National Adopt a Shelter Pet Month and this article will give you the details on national animal shelter stats and tips on how to find the right pet for you. You’re in the know if you follow us on Facebook and Instagram of what local shelter animals have stricken our fancy this month. But in case you aren’t a social media buff, here are a select few we thought you should meet. 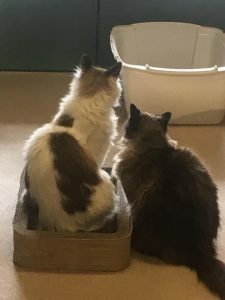 Harley and Muffy, the feline love birds of Meow Manner, at the Jackson/Teton County Animal Shelter. 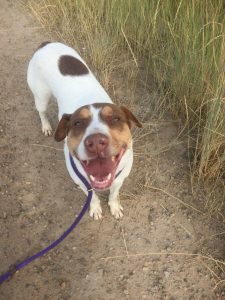 Sadie Mae, longest running-she loves to run- canine resident of the Jackson/Teton County Animal Shelter. 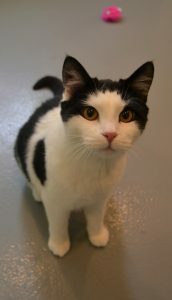 Sundance, the First Lady of the Animal Adoption Center’s Kitty City. She doesn’t believe in politics, she only believes in Catnip. 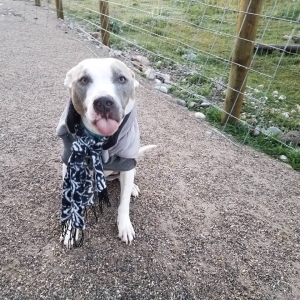 Dottie of the Animal Adoption Center has all of the supermodel dogs of the world beat in selecting functional fall frocks this year. You need TVCAS’s Copper John. Why? Because ice cream tastes better when you’re sharing it with this guy. 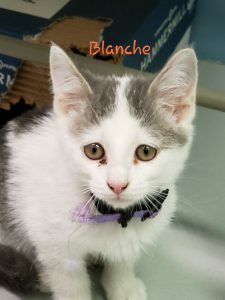 TVCAS’s Blanche will keep you on your toes and full of youthful spirit like your favorite Golden Girl. Interested in any of the above? Call their shelters listed in the descriptions.